Having doubled in size over the last 10 years (and still growing! ), we are constantly in search of new team members. 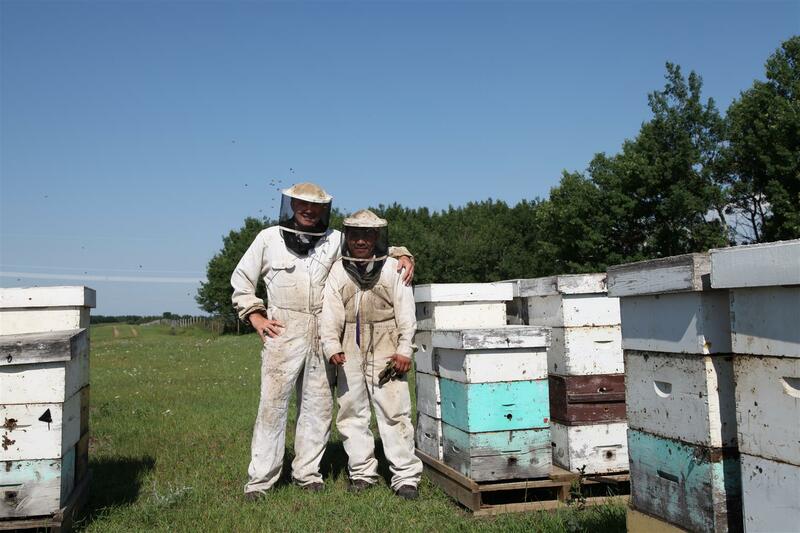 Scandia Honey is a safe, fun, and friendly place to work where hard work is both respected and rewarded. Hot, Heavy work – will train, no experience needed, no education needed. $13.60 – $15.00 per hour depending on experience. English an asset. Checking hives, moving hives, feeding hives, extracting honey, fall feeding, wrapping hives. Hot, heavy work. 40-55 hrs per week Mon – Sat, Full time, Some evenings. We are a fun, rewarding place to work. Hot, Heavy work – will train, no experience needed, no education needed. $17.00- $20.00 per hour depending on experience. English an asset. Checking hives, moving hives, feeding hives, extracting honey, fall feeding, wrapping hives. Hot, heavy work. 40-55 hrs per week Mon – Sat, Full time, Some evenings. We are a fun, rewarding place to work.